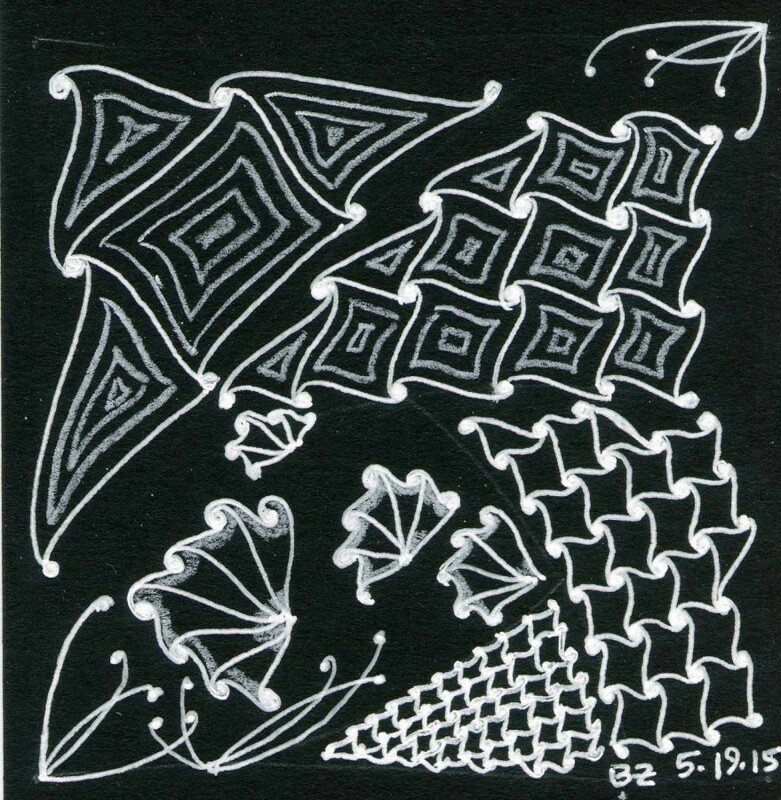 This week's challenge for I am the Diva is to create a white on black zentangle. I played around with Cadent at varying scales, because I want to get out of my comfort zone of small stroke size. The Sakura gelly roll pens have a thicker tip than my black pens, so I ended up at a tad smaller than the pen could manage. I added something called Angelfish because it has the same lines as cadent, and then I added fescu, because I'm beginning to love the little antenna streamers. This is my first time doing white on black. Shading here was a challenge, I really didn't know what to do. Shading and accents were done with a white Prismacolor pencil. I like how you created tonal variety by using the pencil to draw some of the elements. Your "variations on a theme" are interesting and the tangles are so complementary. Nice! 22nd-May-2015 01:01 am (UTC) - cubine? or cadent? This is such nice work and it is so vibrant! Did you mean Cadent? It is one of my favorites and my husband, Wayne did it on his post this week too! 22nd-May-2015 06:54 am (UTC) - Re: cubine? or cadent? Oh you're right! I totally mistyped that. Thanks!